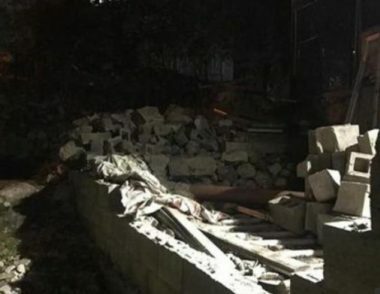 A number of illegal Israeli colonialist settlers demolished, Sunday, a room which was built by a local Palestinian youth group in Tal Romedia neighborhood, in the southern West Bank city of Hebron. The room was built by local volunteers of the Somoud Center of the Youth Coalition Against Settlements, in Hebron. Mohammad Zghayyar, the spokesperson of the Youth Coalition Against Settlements said that Israeli soldiers frequently tried to prevent them from building this room, in addition to the repeated threat by the illegal colonialist settlers to use force against them. A Palestinian woman who lives in the neighborhood said the attacks, carried out by the colonialist settlers, have recently witnessed a serious escalation, and added that the families are constantly afraid that the colonists would attack and harm their children. She also said that the families in the area refrain from leaving their homes at night, especially since their neighborhood is constantly surrounded and isolated.